I attended your presentation at Navy Pier last November and came away thinking (other than how I thought your presentation was quite good – sorry for the shameless flattery) that I need to get my light meter calibrated. I’m finally getting around to it now, but before I did anything I thought maybe you could point me in the right direction. Our office uses the Extech Instruments 401025 light meter for general lighting; we don’t need it for anything more than that. We’ve had it for at least 5 years, and it has never been calibrated to my knowledge. My question to you is: is it worth it to get this thing calibrated (and how and at what cost… would you recommend Transcat?) or are we better off purchasing a new one so that we can get better LED readings, such as the Extech LT45? Or would you recommend getting the Amprobe LM-200LED? Okay, to start, you will not find having low cost meters calibrated a good experience. Calibration will cost more than the meter. 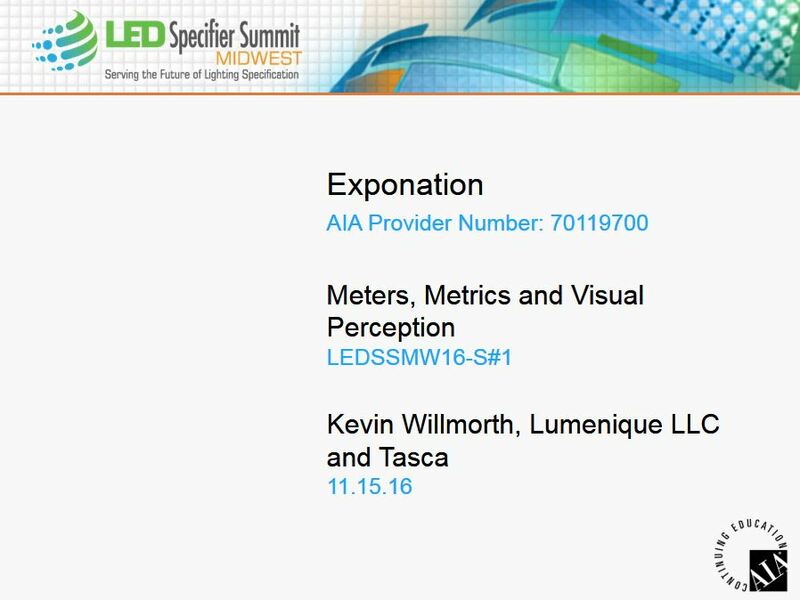 Calibration for most illuminance only meters will run ~$400, so there it doesn’t make a ton of sense to bother for a $150 meter. As a point of reference, meters are roughly calibrated at the factory. If you want one that will pass muster from day one, even a new meter needs to be calibrated to a reference. That means a $150 meter actually costs $550, to cover initial calibration. If you should want more data points, like the TM30 values, etc… that’s when you get into the others I covered in my meter reviews elsewhere on this blog. Keep in mind that any meter that costs less than $500 is essentially a Bik lighter. Use it for a few years (5 years of moderate use is about it), and toss it for a new one. The cost of calibrating the ILT is less. The trick for knowing when you need a re-calibration is to set up a reference of some sort you can store away. Use a length of 1.5″ x 12″L PVC pipe and an LED retrofit lamp mounted in an old table lamp base. Put the pipe over the bulb and take a measurement. Write the reading on the side of the pipe, then store it and the lamp in a safe place. Every year, repeat the test. If the reading is the same (+/- 10%) you are good to go. If the reading is off by more than 10% you need to send the meter in for calibration. Many thanks for the recommendations. I think we’ll go for the replace every five years option for now.